Pressure sensitive labels are the core product of most label printers. To be competitive you need to deliver high quality printing in a short amount of time. Your inspection rewinders must inspect, edit, slit and rewind in one efficient step. 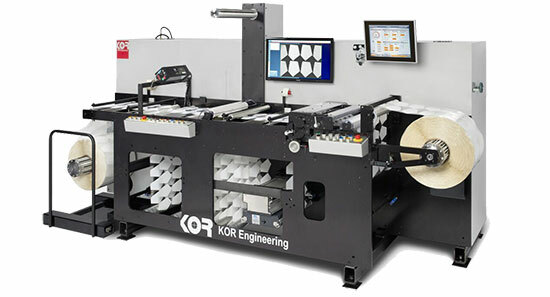 KOR Engineering’s JR2 Series machines do just that. Affordable and user friendly, these machines will be the workhorse of your press room, processing a variety of pressure sensitive constructions, including filmic labels, at production speeds of up to 2000fpm/600mpm.